First of all thank you goes to everyone for all their patience!!! Fishie has done her very best and added things and subtracted stuff and got her calculator as well as her brain very confused. But she rose above and now she has the results here for you!! 1st prize goes to the @stardustandfreckles – for their truly unhitable fic winning with 174 points. Fancy gets a beautiful piece of art! a commissioned piece of art from @somuchcolour! 1st prize for promos goes to @reaperlove77 who gave 280 points worth of cheerleading and promo’ing work! 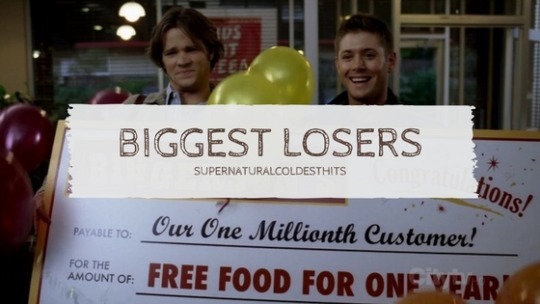 2nd prize goes to the runner-up @fem-deanwinchester their combination of unhitable fic and primo promo’ing got them on the losers list! – special mention goes to @bloodandcream​ and @mayalaen​ who totally hit all the hits, so many hits!!!! Please contact us as soon as possible by sending us a message to coldest hits inbox with your choice from this list and we will contact you privately to get your details.